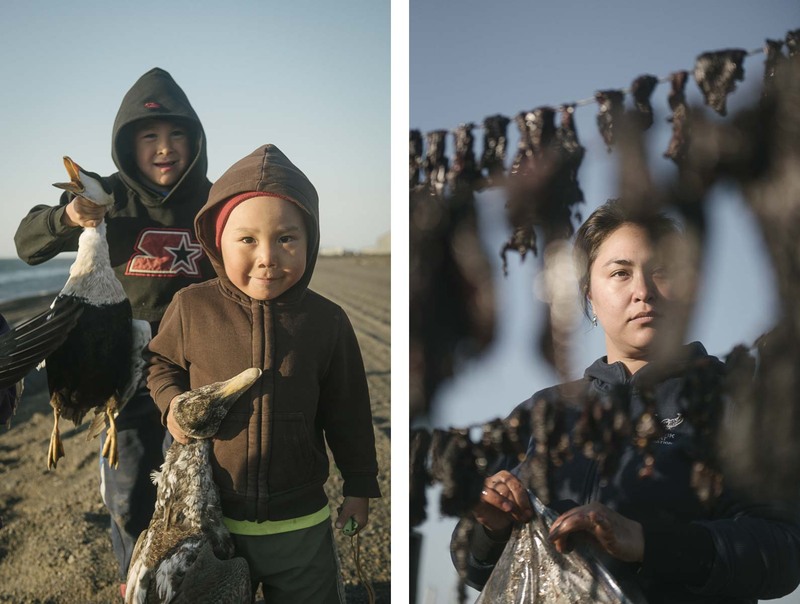 Left: Kids play on the beach during the summer and dart away happily to retrieve fallen eider ducks that have been shot by their relatives, distributing the workload in this arctic environment. Right: For young people everywhere, cultural skills take learning and practice. Cathy Peacock hangs seal meat to dry and professes that there’s much to learn, though she is proud to keep her traditions strong.